Eight years ago, Bill Kochevar was paralyzed in a cycling accident. Since then, he hasn’t been able to move anything below his shoulders — until now. As part of a trial at Case Western Reserve University, two tiny, 96-channel electrodes were implanted in the motor cortex of Kochevar’s brain. Essentially, the electrodes register the actions of his neurons and respond by signaling a device that stimulates his arm muscles. The system has given him the ability to grasp and lift things the same way he used to, by simply “thinking” the command to his body. He can now drink through a straw after raising a mug of water to his mouth and eat mashed potatoes with a fork. Kochevar prepared for the trials by learning how to move a virtual reality (VR) arm on a computer using his mind. He practiced this for four months, after which 36 electrodes were surgically implanted into his right arm. The electrodes were strategically placed to control the movement of his upper and lower arm, elbow, hand, shoulder, and wrist. 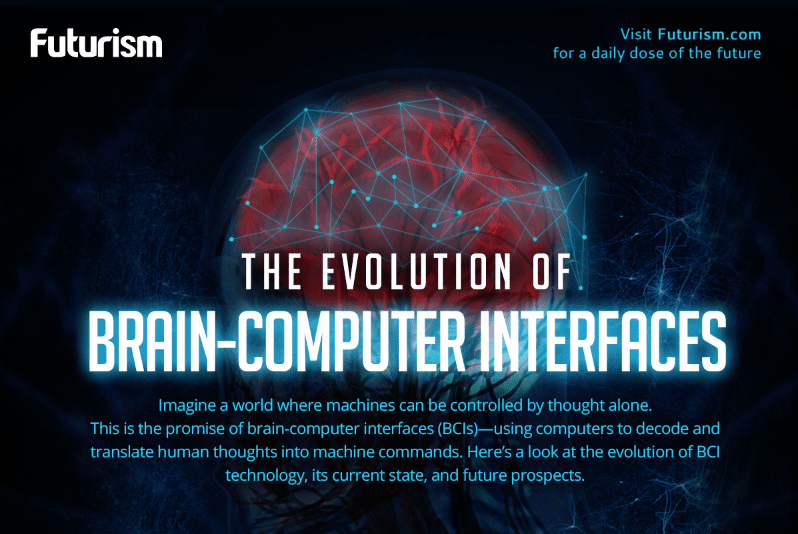 Now, when Kochevar thinks about moving his arm, the brain signals travel to the brain-computer interface (BCI), which decodes and translates them into commands for intended movements. Those commands are then converted again into patterns of electrical pulses by the Functional Electrical Stimulation (FES) system in his arm. The pulses stimulate the electrodes, which move the muscles. This successful trial, which was the first of its kind in the world, was part of the BrainGate2 study, which is researching the feasibility and safety of using BCI systems to help paralyzed people. The research team says that advances needed to use the technology outside of a lab setting are not far from reality. The brain implant would need to be wireless, but work on that is already underway. The movements themselves would also need to be more precise. That will be achieved once the investigators improve the stimulation and decoding patterns. FES systems that are entirely implantable are already being tested in other clinical research, as well.